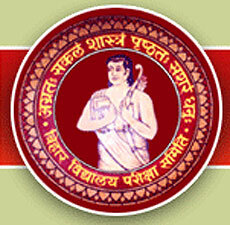 The Bihar School Examination Board is expected to release the result of Class 10th on May 15, 2014, Thursday. Until now there have been many rumours about the date of the Bihar Class X result 2014, but now it has been confirmed that will be out on May 15. The exams were conducted from March 6 to March 13. In comparison to 2013's approximately 10 lakhs students, 1327398 students had appeared for the Bihar Board SSC exam this year. • Locate "Matriculation Examination Result 2014" on the homepage of the website and then click on it. • Keep their admit card handy and then fill in the required blanks for board roll number, school code or student's name. • Once all the asked information has been typed accurately, click on the "SUBMIT" button. The student will see his or her result on the computer screen within a few seconds. They can either download their online score card, capture its screen shot or may take a print out for fture purposes. One must know that board takes around two to three weeks after the announcement of the result to issue the original Class 10th mark sheet thus the students must preserve the printed copy or save the screenshot in a folder. • Your plan to study. You may subscribe to our mail alert or SMS alert service by registering your email id or phone number. You will get your online score card of Class X in your mail box or you will be informed about your result via text message. Apart from this, you may take help of jagranjosh.com career guidance to know the best stream for your further classes and the fields or areas in which you may build a career or do a course from an esteemed institution. You must understand that worrying about your Class 10th result won't help and thus invest your time in more productive activities.